SAS Logistics - Removals/Storage, Rubbish/Waste/Clearance based in Plymouth, Devon. 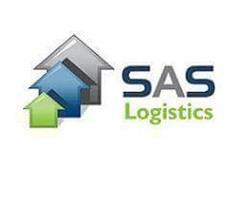 SAS Logistics are a local company focused on outstanding customer service, reliability and flexibility. Both partners in the business come from a long customer service driven background and this has been brought forward together with a "can do, will do & happy to do" attitude. Serving both Domestic & Commercial customers we provide Home/ Office and Business clearance services and Licensed Waste disposal covering Plymouth and the surrounding areas of Devon & Cornwall. Registered with the Environment Agency as a licensed and responsible upper tier waste carrier and we continually strive to reduce the amount of waste going to landfill and take considerable time in ensuring the majority of the waste we manage is recycled. SAS Removals provides professional House/Office relocation services with a fleet of vehicles to choose from and services which can be tailored to every budget. Providing local, short distance or nationwide removals, from a simple flat move to larger properties with a full packing service we are committed to providing a fully flexible professional service which needn't break the bank. Our uniformed professional and friendly staff are fully insured for your peace of mind and are available for booking 7 days a week, usually with the miniumum of notice.